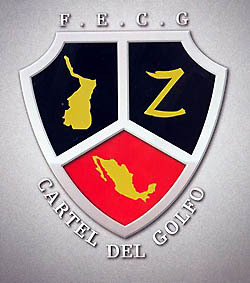 The tentacles of the Mexican cartels can be found throughout the U.S. The latest: 20 defendants — five of them suspected members of a Chicago cell of the violent Zetas Mexican drug cartel — were charged in major drug indictment in Chicago following a joint FBI-DEA investigation, Chicago’s US Attorney Patrick Fitzgerald’s office announced Wednesday. The investigation resulted in the seizure of more than $12.4 million in cash and about 250 kilograms or more than 500 pounds of cocaine during 2010 in the Chicago area. Arrests were made on Tuesday in Chicago and Laredo, Tex. Along with the Tuesday arrests, an additional $480,000 in cash and two kilograms of heroin were also seized. Five of the defendants in the case remain at large. Posted: 11/16/11 at 6:45 PM under FBI, News Story.